I received a bone marrow transplant, can I use the 23andMe Personal Genetic Service? 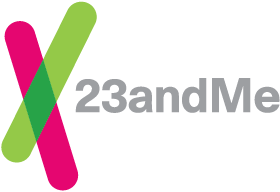 If you have received a bone marrow transplant using cells from a donor, we cannot support your use of the 23andMe® Personal Genetic Service (Ancestry Service or Health + Ancestry Service). The saliva sample required to receive the 23andMe Personal Genetic Service includes DNA from multiple cell sources, including epithelial cells from your cheeks and mouth and white blood cells from your saliva. As a bone marrow recipient, your blood cells will contain the DNA from your marrow donor, while your epithelial cells contain your own DNA. The combination of DNA sources frequently results in analysis failure. In the event that the analysis was successful, it still would be unclear whether the results were based on DNA from you or from your donor. If you are a bone marrow recipient, and you have already used our service, please contact Customer Care. We would be happy to refund you for your purchase as we will need to close your profile. What can 23andMe do for me if I am adopted?